I am a lover of delicious, healthy snack bars such as Larabars, Luna bars, Pure Bars, and the list goes on. Today, I finally got to try the Almond & Coconut Kind bar I’ve been hearing so much about in the Blogosphere. The problem I find with all of these bars: price. Seeing as I had a hoppin’ party to go to all the time in the world today to play in the kitchen….I did! 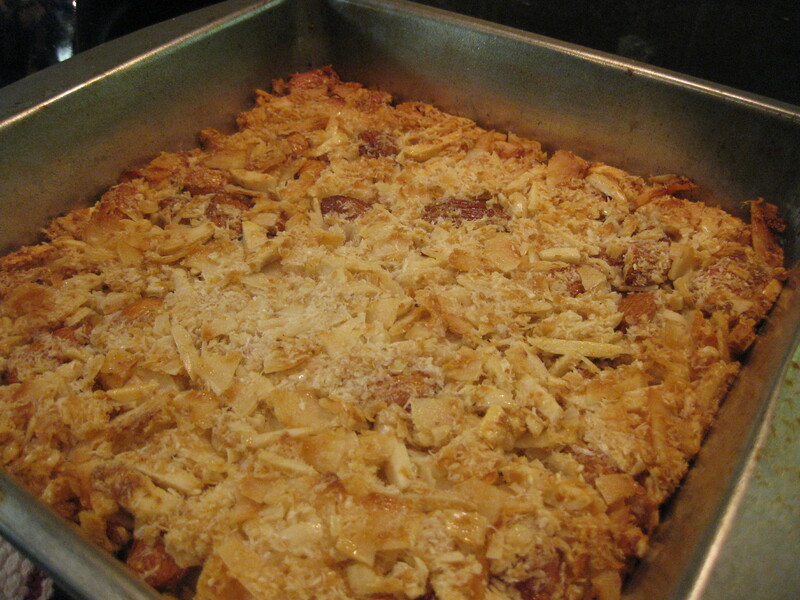 Mix coconut, honey, and wheat germ together in a medium bowl. Stir in almonds. Mix until blended well. Spray a 8 x 8 pan with non-stick cooking spray. Spread mixture, pressing firmly to the bottom of the pan, leveling the surface with a spatula coated in cooking spray. Cook 25-35 minutes, until surface is browned. Let pan cool to room temperature. Transfer pan to freezer and allow to harden. Once firmed up, transfer the 8 x 8 contents to a cutting board. Cut into 8 even portions. 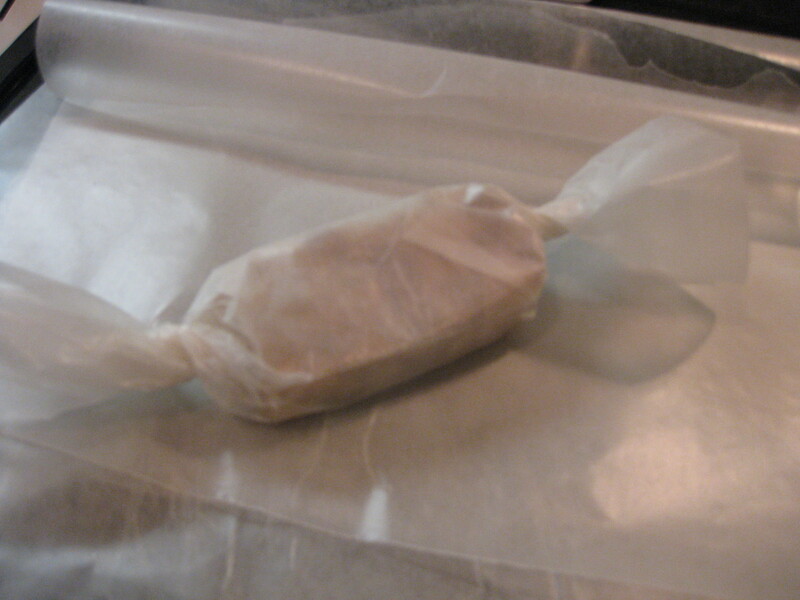 Wrap in wax paper to preserve. Pretty comparable on that account. Texture-wise: Me! MY bars take the cake, I do believe. The Kind bar took a lot of chew power — my jaw was literally sore after eating one bar. I like the softer insides of MY bars. Question: Do you like coconut? A homemade bar is the best! 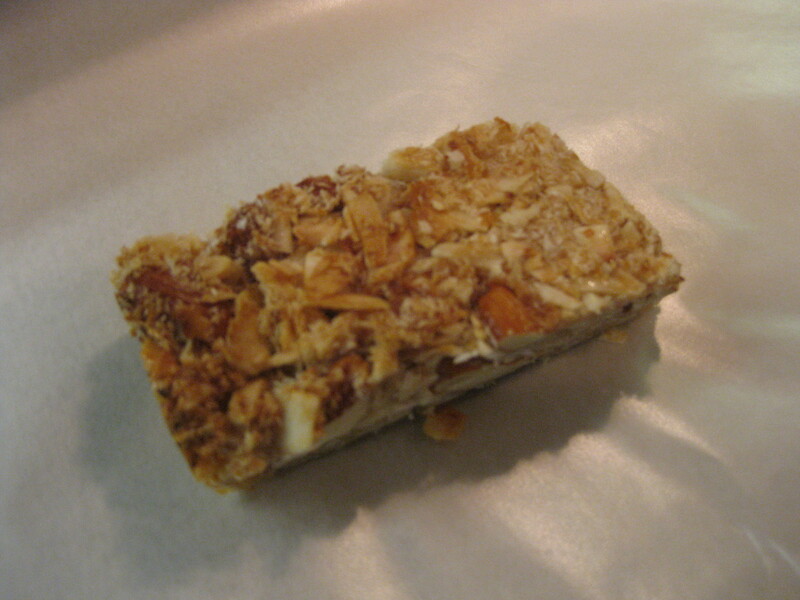 I love your almond and coconut bar, delicious! oh my gosh girl these look great! I LOVE kind bars-and agreed..they are so super expensive! YUM!!!! I think you should have no probs with the F-Larabars (fake larabars). No coconut – but kudos on the ‘MY’ bar! Nice! i love coconutty things, and I happen to have those exact same bags of shredded coconut (even the reduced fat one) in the cupboard. you can definitely tackle homemade lara bars, just put some dates and your nuts of choice in a food processor, they taste great! to make a pb & j lara sub raisins for the dates, so good! Thanks for the recipe! I love homemade bars. I love coconut!!! your bars look awesome! Those look delicious! Homemade bars are definitely they way to go! 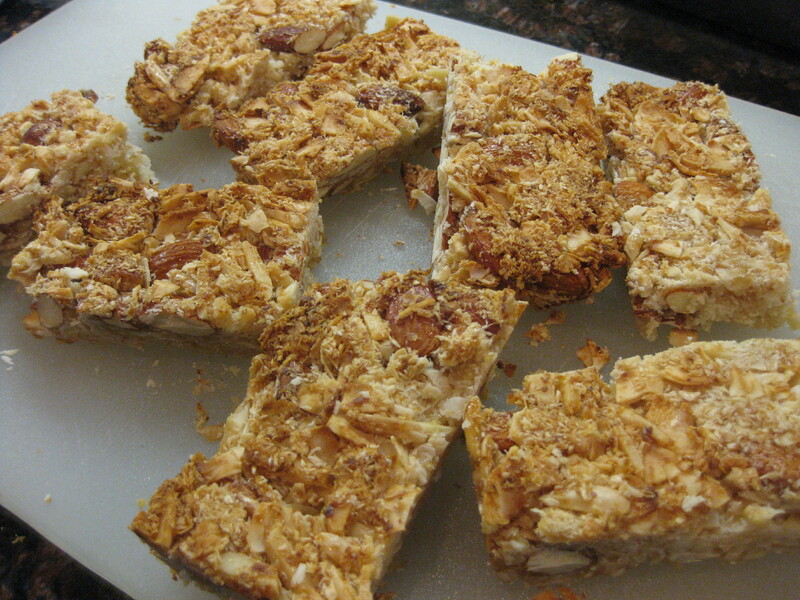 I hate coconut, but I think making your own bars is a great idea. It’s so easy too! I like how your wrapped up the bars. 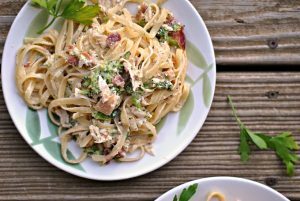 I’m not a coconut fan, but the recipe looks like a good one! I’ve got to try this! Some of my favorite bars – including KIND bars – are SO expensive! It’s ridiculous! Ooh, yay! The only thing I hate about kind bars (other than the price!!!) is their lack of chew! Thanks for sharing! What a great idea! Those look great. I’ve been wanting to tackle my own energy bars for some time now. You should do a search on Angela’s blog, Oh She Glows. She made her own Larabars one time. How great that you made your own bars! (And I’m glad that you survived your 4 ten hour days; I bet it was great to be able to play a bit yesterday…). Yes, the best bars are always the most expensive. Thanks for the recipe!! I know, I LOVE Larabars but it kills me to spend more than $1 on them! Yours look AMAZING. I’m sure they taste so much fresher, too. Actually, I don’t like coconut. 🙁 It’s one of the only things I’ve never liked! omg yum that bar looks great!! Thanks for sharing your bar recipe…look forward to try it. ahhh! thank you for this! 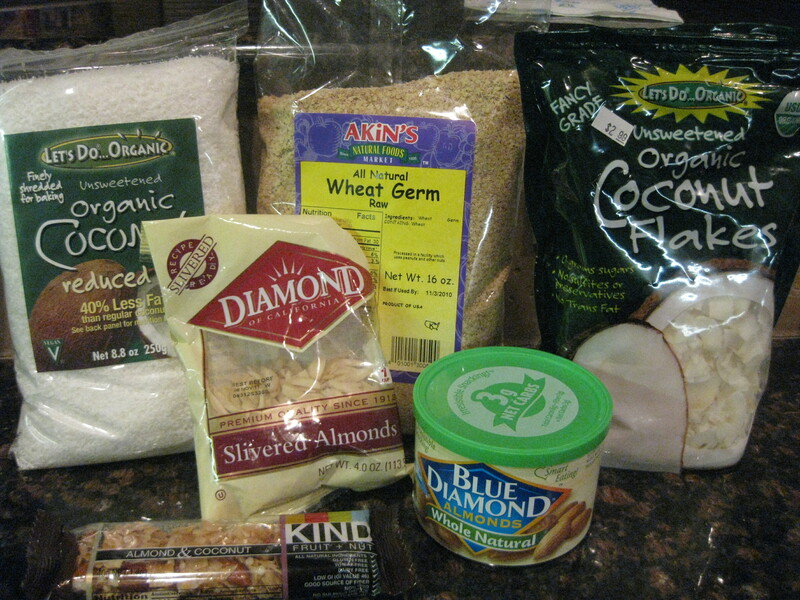 I just blogged about how much I love the almond coconut Kind bar, but you are right about the price! wayyy too much. I’m going to make a batch of these next week! I just came across your blog and I can’t wait to keep reading and following! Yum I love Kind bars!! And yes I’ve started to like coconut now too. I’m tackling granola bar making today too and guess what? I’m going to try out your chickpea cookies (if I have all the ingredients) and buffalo wing dip for tomorrow (gotta make the hubs happy). I’ll let you know how we like em! Hey Heather! Both are excellent — I hope you enjoy! Let me know what everyone thought! Have a great weekend, hun! Fantastic idea Nicole! This is actually my favorite kind of KIND bar, and Nick’s. Of course I can’t eat them anymore because coconut is off limits for me, but I still do sometimes…. They really are way too expensive, and have you noticed they have shrunk?? I noticed it the other day and of course the price was the same. I love coconut but sadly, I’ve developed an allergy to it. I LOVE coconut. The Coconut Cream Larabars are my favorite. 🙂 Your homemade ones looks delicious though!! What a great idea! So much less expensive than buying them all the time too. I love the idea of your bar. Must try. I am not a fan of store bought bars. The homemade ones are so much better! Funny, I started with LARA Bars, and I am now tackling the oober expensive KIND Bars, will try them out today, thank you! I have an excellent LARA Bar recipe on my blog, try it, they are so easy and leaps and bounds more delicious than the original (all my tasters said!). Good luck! I loooooooove coconut AND almonds! Today I was at PCC and stumbled upon the unsweetened coconut. I took it as a sign, I have to make these bars! Funny thing was, there was a Kind bar truck out in front when I left, getting ready to do some promotional stuff. Haha. 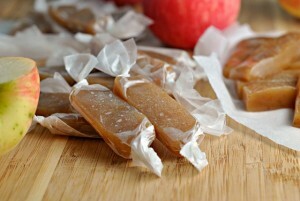 I forgot the wheat germ, but I can’t wait to make these! 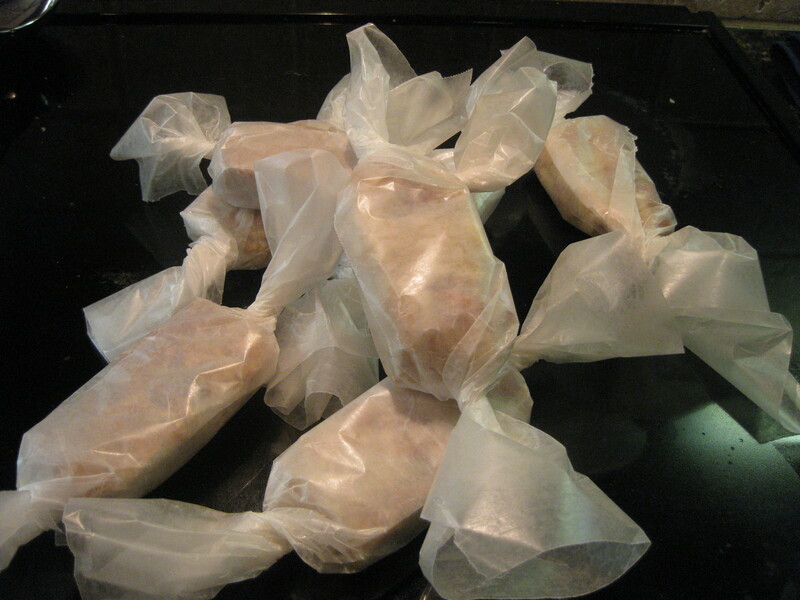 It’s funny to get a comment on an old post for these – they’re on my to-do list for tomorrow…so good!!! Thank you! I tried the Kind Almond and coconut bar and immediately started looking for recipes online since it was over $2 for this bar. thank you! I am so excited to try these!